Wrap the paste products and agricultural products, livestock products FW3462 | Horizontal Pillow Packaging Machines | FUJI MACHINERY CO.,LTD. 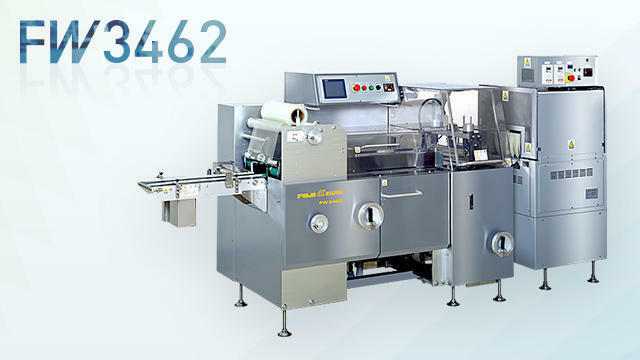 A 3-way shrink wrap machine with soft shrink film. Shrink wraps without ventilation pinholes for contraction. Employs a belt-type dispenser. Wide machine (W) also available. 15 - 60 packages per min.